Gov. Jerry Brown signed AB 1747, a bill aimed at reducing student hunger, on Sept. 12, his office announced in a press release issued that same day. The legislation, authored by Assemblymember Shirley Weber (D-San Diego), will extend CalFresh and other Department of Social Services programs to university campuses. CalFresh, the California version of the Supplemental Nutrition Assistance Program, provides assistance for the purchase of food, and existing federal law allows those on CalFresh to spend benefits at restaurants through the Restaurant Meals Program, which counties may choose to participate in. As a result of AB 1747, public and private universities in participating counties are now required to apply to be food vendors under the program, allowing students to use CalFresh benefits at dining halls, and provide contracted vendors with information on the program. According to UCSD Spokesperson Christine Clark, Housing, Dining, and Hospitality has been preparing for the possible implementation of AB 1747 since Jan. 2016 and has already introduced a similar program on campus. In addition to incorporating on-campus facilities into the Restaurant Meals Program, AB 1747 establishes the Public Higher Education Pantry Assistance Program Account in the Emergency Food Assistance Program Fund, which would allocate funding to food banks that support on-campus food pantries and other hunger relief for low-income students. It further mandates that the California Department of Social Services serve as the state entity for receiving federal reimbursement for CalFresh outreach activities on behalf of state or local agencies. Thurgood Marshall College Student Council Food Pantry Representative Gary Le noted to the Guardian that the Higher Education Pantry Assistance Program Account would be valuable in allowing food pantries to further assist students. 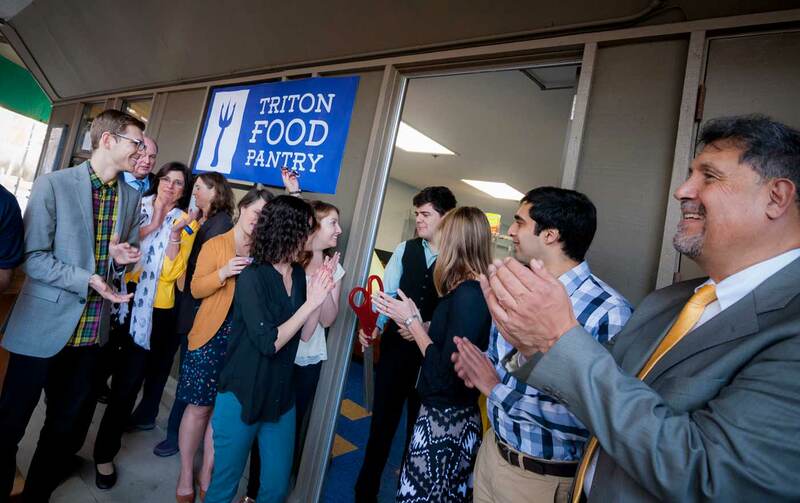 Clark also explained that HDH has worked with the Triton Food Pantry in the past to help reduce student hunger and plans to bolster that relationship in the future. According to a press release issued by her office, Weber was inspired to write the bill after witnessing an intern struggle with hunger and listening to student testimony at the Hunger, Homelessness, & Homework informational hearing she held at San Diego State University last November. The press release also cited two systemwide studies conducted by the University of California and California State University which revealed that nearly one in five UC students have very low food security and 43 percent have regular food insecurity, while 24 percent of CSU students have regular food insecurity and ten percent are homeless. Le said that while the efforts to end student hunger will not end with AB 1747, the legislation is a step in the right direction. The bill passed 67 to 13 in the Assembly and 30 to seven in the Senate, enjoying bipartisan support.